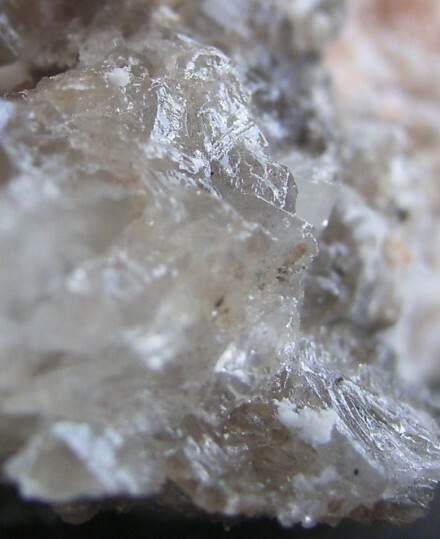 Langbeinite: Mineral information, data and localities. After A. Langbein of Leopoldshall, Germany. Crystals rare. Usually disseminated grains, nodular or massive aggregates. Sylvite 3 photos of Langbeinite associated with Sylvite on mindat.org. Piypite 1 photo of Langbeinite associated with Piypite on mindat.org. Zuckschwerdt, S. (1891) Langbeinit, ein neues kaliummagnesiumsulfat. Zeitschrift für Angewandte Chemie: 1891: 356-356. Luedecke (1898) Zeitschrift für Kristallographie, Mineralogie und Petrographie, Leipzig: 29: 255. Sachs (1902) Sitzungsberichte der Akademie der Wissenschaften, Berlin: 376. Nacken (1907) Gesellschaft der Wissenschaften zu Göttingen, Nachr. : 602. Görgey (1909) Mineralogische und petrographische Mitteilungen, Vienna: 28: 334. Gossner and Koch (1931) Zeitschrift für Kristallographie, Mineralogie und Petrographie, Leipzig: 80: 455. Ramsdell, L.S. (1935) An x-ray study of the system K2SO4-MgSO4-CaSO4. 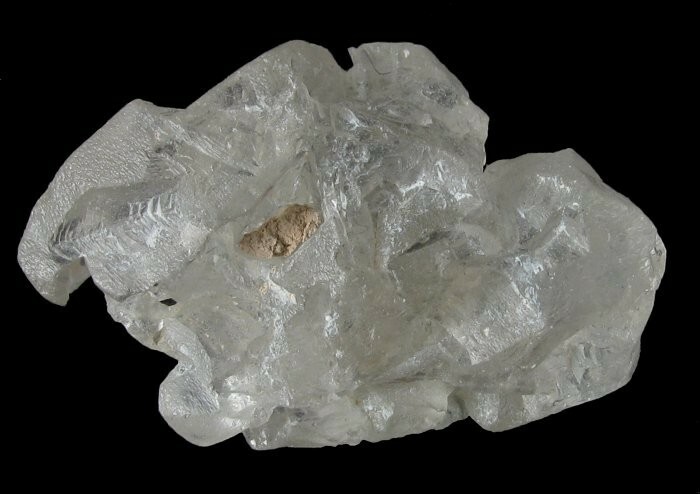 American Mineralogist: 20: 569-574. Bond, W.L. (1943) The Mathematics of the Physical Properties of Crystals. Bell Systems Technology Journal: 22: 145. Palache, Charles, Harry Berman & Clifford Frondel (1951), The System of Mineralogy of James Dwight Dana and Edward Salisbury Dana Yale University 1837-1892, Seventh edition, Volume II: 434-435. Mereiter, K. (1979) Refinement of the crystal structure of langbeinite, K2Mg2(SO4)3. Neues Jahrbuch für Mineralogie, Monatshefte: 1979: 182-188. Battle, P.D., Cheetham, A.K., Harrison, W.T.A., Long, G.J. (1986) The crystal structure and magnetic properties of the synthetic langbeinite KBaFe2(PO4)3. Journal of Solid State Chemistry: 62: 16-25. Battle, P.D., Gibb, T.C., Nixon, S. (1988) The magnetic properties of the synthetic langbeinite KBaCrs(PO4)3. Journal of Solid State Chemistry: 75: 21-29. Oelkrug, H., Bruckel, T., Hohlwein, D., Hoser, A., Prandl, W. (1988) The magnetic structure of the langbeinite K2Mn2(SO4)3. Physics and Chemistry of Minerals: 16: 246-249. Palache, C., Berman, H., & Frondel, C. (1951), The System of Mineralogy of James Dwight Dana and Edward Salisbury Dana, Yale University 1837-1892, Volume II: 434; R. Exel (1993): Die Mineralien und Erzlagerstätten Österreichs. Sejkora, J., Kotrlý, M.: Sulfáty vysokoteplotní oxidační minerální asociace; hořící odval dolu Kateřina v Radvanicích v Čechách. Bulletin mineralogicko-petrografického oddělení Národního muzea v Praze, 2001, roč. 9, s. 261-267. Palache, C., Berman, H., & Frondel, C. (1951), The System of Mineralogy of James Dwight Dana and Edward Salisbury Dana, Yale University 1837-1892, Volume II: 434. Palache, C., Berman, H., & Frondel, C. (1951), The System of Mineralogy of James Dwight Dana and Edward Salisbury Dana, Yale University 1837-1892, Volume II: 434; Naumann, Zirkel (1898) "Elemente der Mineralogie", 13th Ed. Dana 6: 899; Palache, C., Berman, H., & Frondel, C. (1951), The System of Mineralogy of James Dwight Dana and Edward Salisbury Dana, Yale University 1837-1892, Volume II: 432, 434, & 449.
ⓘ Piton de la Fournaise Massif ? Vlastélic, I., Staudacher, T., Deniel, C., Devidal, J. L., Devouard, B., Finizola, A., & Telouk, P. (2013). Lead isotopes behavior in the fumarolic environment of the Piton de la Fournaise volcano (Reunion Island). Geochimica et Cosmochimica Acta, 100, 297-314. Chesnokov, B.V., L.F. Bazhenova, E.P. Shcherbakova, T.A. Michal, T.N. Deriabina (1988), New minerals from the burned dumps of the Chelyabinsk coal basin, in Mineralogy, technogenesis, and mineral-resource complexes of the Urals. Akad. Nauk SSSR-Uralskoe Otdel. : 5-31 (in Russian). ; Cesnokov, B., Kotrly, M. and Nisanbajev, T. (1998): Brennende Abraumhalden und Aufschlüsse im Tscheljabinsker Kohlenbecken - eine reiche Mineralienküche. Mineralien-Welt, 9 (3), 54-63 (in German). N. V. Chukanov, M. N. Murashko, A. E. Zadov & A. F. Bushmakin (2006): Avdoninite, K2Cu5Cl8(OH)4• H2O, a new mineral from volcanic exhalations and from the zone of technogenesis at massive sulphide ore deposits. Proceedings of the Russian Mineralogical Society 135(3), 38–42; Zelenski, M.E., Zubkova, N.V., Pekov, I.V., Polekhovsky, Yu.S. & Pushcharovsky, D.Yu. (2012): Cupromolybdite, Cu3O(MoO4)2, a new fumarolic mineral from the Tolbachik volcano, Kamchatka Peninsula, Russia. European Journal of Mineralogy, 24, 749-757.; Pekov, I. V., Zelenski, M. E., Zubkova, N. V., Yapaskurt, V. O., Chukanov, N. V., Belakovskiy, D. I., & Pushcharovsky, D. Y. (2012). Calciolangbeinite, K2Ca2 (SO4) 3, a new mineral from the Tolbachik volcano, Kamchatka, Russia. Mineralogical Magazine, 76(3), 673-682.; Chukanov, N. V., Murashko, M. N., Zadov, A. E., & Bushmakin, A. F. (2007). Avdoninite, K 2 Cu 5 Cl 8 (OH) 4· H 2 O, a new mineral species from volcanic exhalations and the technogenic zone at volcanic-hosted massive sulfide deposits. Geology of Ore Deposits, 49(7), 505-508.
ⓘ York Potash borehole SM6 ? Palache, C., Berman, H., & Frondel, C. (1951), The System of Mineralogy of James Dwight Dana and Edward Salisbury Dana, Yale University 1837-1892, Volume II: 595. SIMMONS, P.S. (2013)The Carlsbad Potash Basin, Carlsbad, New Mexico. 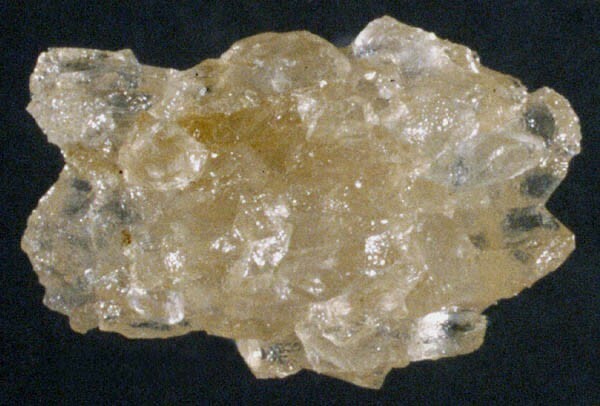 Mineralogical Record, 44 (1), 13-49. NMBMMR Bull 87 Mineral and Water Resources of New Mexico; U.S. Geological Survey (2005) Mineral Resources Data System: U.S. Geological Survey, Reston, Virginia. Van King; U.S. Geological Survey (2005) Mineral Resources Data System: U.S. Geological Survey, Reston, Virginia. Palache, C., Berman, H., & Frondel, C. (1951), The System of Mineralogy of James Dwight Dana and Edward Salisbury Dana, Yale University 1837-1892, Volume II: 435; Minerals of New Mexico 3rd ed.